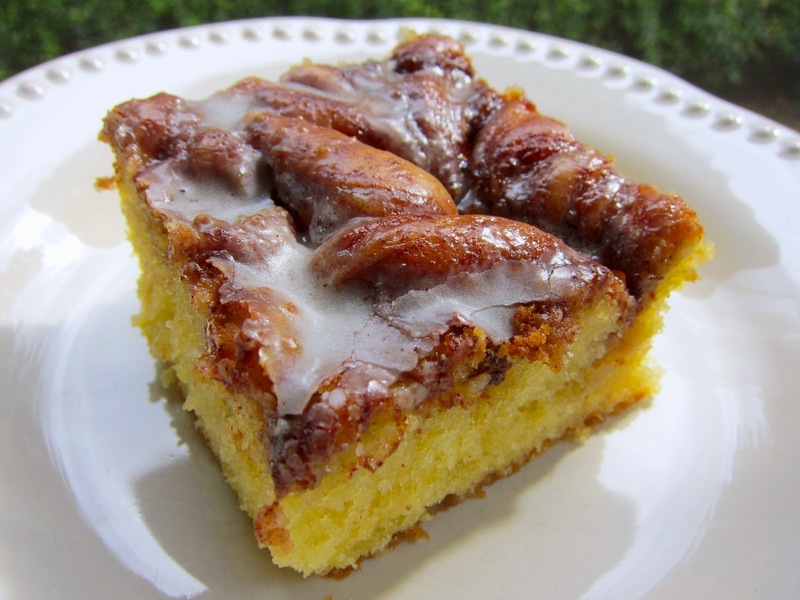 This cake has all the flavors of a Honey Bun, but it tastes SO much better! If you love cinnamon, you will love this coffee cake. This is made with a box of cake mix couldn't be any easier. We served this cake as a coffee cake for breakfast, but it would also be great warm with a big scoop of ice cream. Either way, you can't go wrong. Yum! In a large bowl, mix together cake mix, sour cream, oil and eggs on low speed of an electric mixer for 1 minute. Increase speed to medium and beat 2 minutes more. Pour into prepared pan. Drizzle honey on top of batter, then sprinkle on the brown sugar and cinnamon or pumpkin spice. With a knife, swirl topping to blend. Bake 38-40 minutes. Whisk together powdered sugar, milk and vanilla. Pour over warm cake. Allow cake to cool at least 20 minutes before cutting. I am a sucker for a honey bun in any vending machine or 7-11 that I see! This sounds great!!! That looks so yummy. Love anything with cinnamon. I pin lots of your recipes you post, don't think I've tried any of them yet. 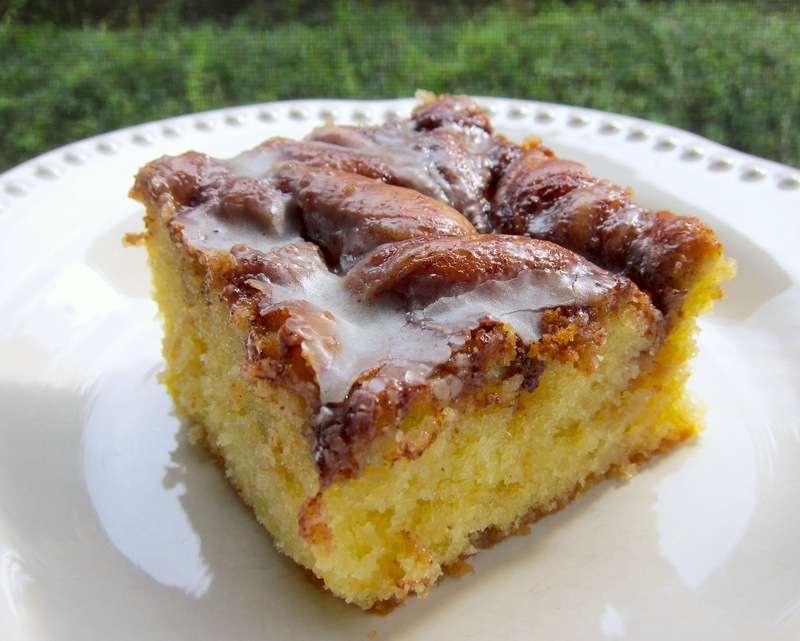 I used to enjoy a semi frequent Honey Bun in Junior High and that was over a decade & a half ago, so I think I'll definitely have to give this one a try and not just let it sit on my food board on Pinterest! Excellent Cake made it this past week!!!! Super easy recipe and yummy! I only made 1/2 recipe of the frosting and that was plenty! Thanks for a great recipe! I am going to make this cake today with a streusel topping. I'm sure it will be delicious!